The Juan de Fuca Trail is one of the most popular hiking expeditions in BC. At 47 km long it’s quite the adventure, but the high volume of traffic frequenting the trail makes it a safer trek than most—but that’s not to say it isn’t a challenge. Would-be hikers are expected to have proper footwear, camping gear, and provisions for the three to five days they will be on the trail, and anyone looking to make this their first big hike may want to train on some shorter distances first. Campsites can be found along the trail—many with oceanfront views—and they cost only $10 a night. 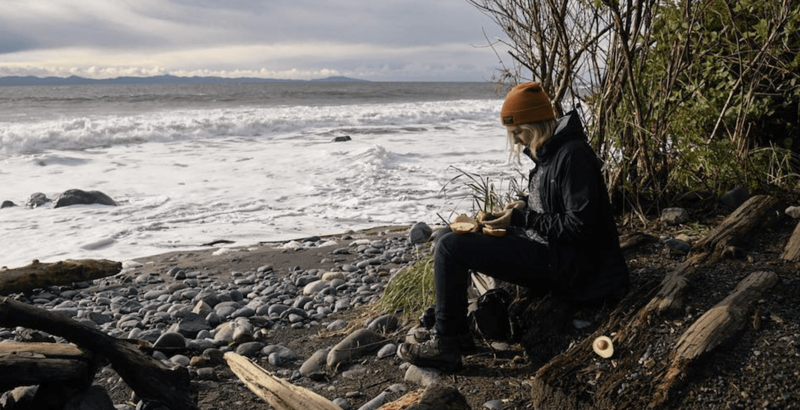 With a multitude of beaches to explore, forests to hike through, and beautiful—though often-times muddy—trails to follow, the Juan de Fuca Trail is a must-do on any adventurous Vancouverite’s bucketlist. Always know before you go, and stay up to date with trail conditions by checking the official Juan de Fuca Provincial park website. Make sure you read up on the dangers of hiking and what to pack before you head out, and have fun out there. For your own safety, please make sure you are prepared before heading out on your next adventure. Information on how to prepare for your trip and stay safe while on your hike is available from North Shore Rescue and AdventureSmart. The Juan de Fuca Trail extends 47 km along Vancouver islands southwest coast, from its eastern starting point at China Beach all the way to the Botanical Beach parking lot at Kilometre 47. Hikers can start at either trailhead, though most tend to begin the journey at China Beach. Trailheads are also found at Sombrio Beach (Kilometre 29) and Parkinson Beach (Kilometre 37.6) for hikers looking for a shorter trip. Getting to the China Beach from Downtown Vancouver takes roughly 4.5 hours by car. 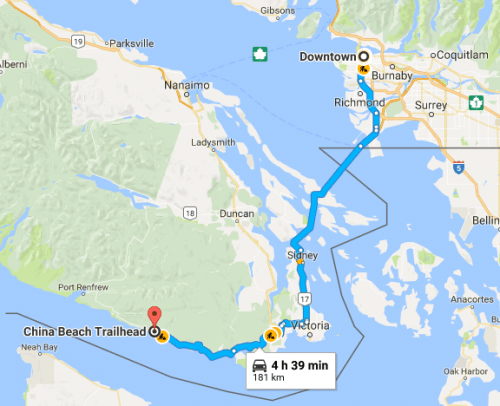 You’ll take the ferry from Tsawwassen to Swartz Bay, drive into Victoria on Highway 17, then take the Juan de Fuca Highway along the coast to China Beach—just past Jordan River. Make sure not to leave any valuables at the parking lot, though: Cars left there are frequently broken into. Those going by public transit will need to take a shuttle service after arriving at either Nanaimo or Victoria, which can be reserved here and here. Along the trail you’ll find gorgeous forests, campsites with a view of the Pacific Ocean, and other hikers making the same gruelling journey that you’ve somehow found yourself on. There are suspension bridges to cross, muddy trails to navigate, and a seemingly endless expanse of West Coast wildlife to take in. Pack it in, pack it out. Ya feel? Morning hike out on the last day.